Willie Nelson, one of the great treasures of American music, is 80 years old today. When I was in college we listened to Willie all the time – his classic Red Headed Stranger came out when I was a junior, and we spun that one till the record was virtually unplayable. At the time I had the impression that Willie Nelson was a favorite only in Texas or the south. It may have been mainly true about that time, but when he put out the standards collection Stardust in 1978 it was quite obvious the man was a superstar. I once thought I had more CDs of acts like The Beatles, The Beach Boys and Van Morrison than any other artist, but no. Willie’s CDs take up nearly an entire shelf of my cabinet, and that’s not counting the compilations he appears on, the special things like Live in Austin TX and of course LPs, cassettes, 8-tracks (!) and downloaded digital files. 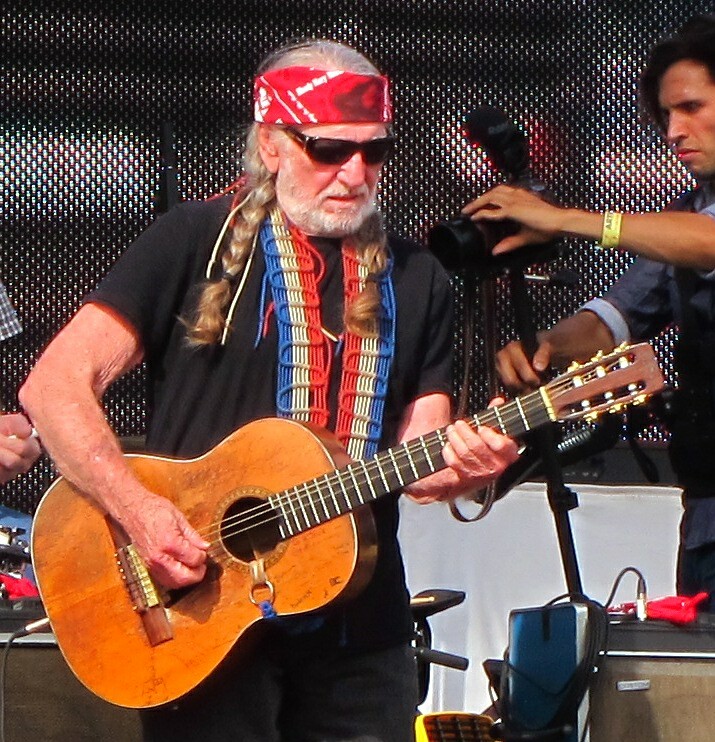 Willie performing at the 2012 Free Press Summer Fest in Houston. Every year they have this big extravaganza in Houston, the Houston Livestock Show and Rodeo, and zillions of people go out to see rodeo events but mainly to see top-name music acts perform. It’s always cool to see the way artists are brought to and taken from the stage, which sits out in the middle of the rodeo dirt. Elvis had his own special pickup truck, Kool and the Gang once rode low riders, George Strait gallops off on a horse. Willie played the Rodeo a handful of times, back when it was in the Astrodome, and he had the greatest stage exit ever. He pointed down to his cowboy boots – somebody had given him a wildly ornate set of manly footwear – and said, “How do you like my boots?” As the spotlight hit his boots and the video closeups showed up on the big screens, the crowd roared in approval at the sight of Willie’s pristine, sparkling clean cowboy boots. Then he jumped off the stage into the dirt and just started walking toward the exit, waving at the crowd. It was a pretty long walk until he was out of sight, and I’m sure he broke in his new boots by stepping in cow pies along the way. On purpose. The crowd kept roaring and suddenly, before anyone knew it, he was gone. The sad news about George Jones this weekend made me think of that night at the Rodeo. One day, Willie will be gone too. And the world will be a much sadder, much less fun place. Here’s hoping that day is a long way away. 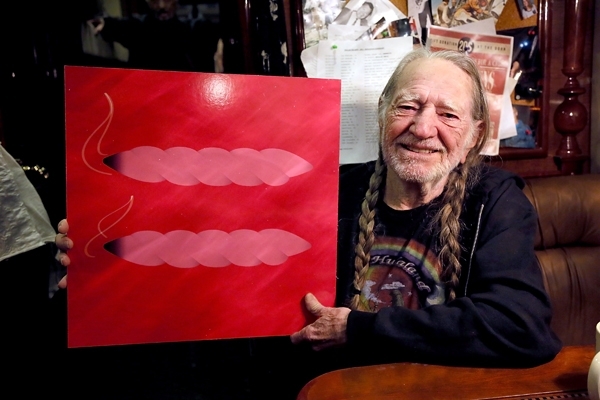 This entry was posted on April 30, 2013 at 9:38 am and is filed under News with tags Willie Nelson. You can follow any responses to this entry through the RSS 2.0 feed. You can leave a response, or trackback from your own site.